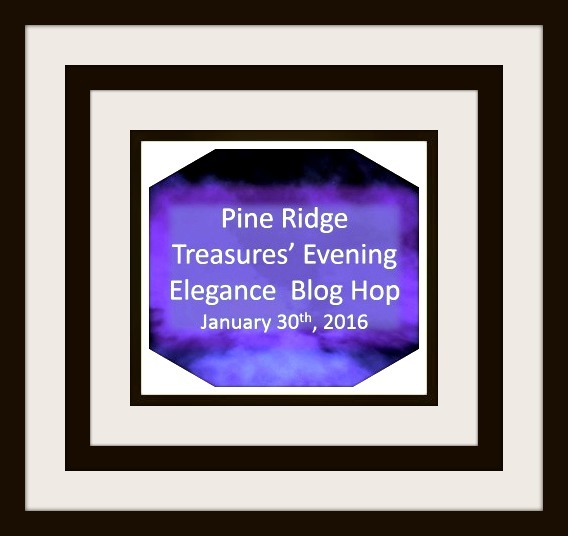 I just love the blog hops hosted by Lisa of Pine Ridge Treasures. This time around we are focusing on jewelry to wear out to a nice dinner and perhaps dancing. And I even remembered to take a pic of the beads I was sent to work with. Aren't these real beauties! I have been working more and more with purple lately so I was rather happy when I opened up my package. 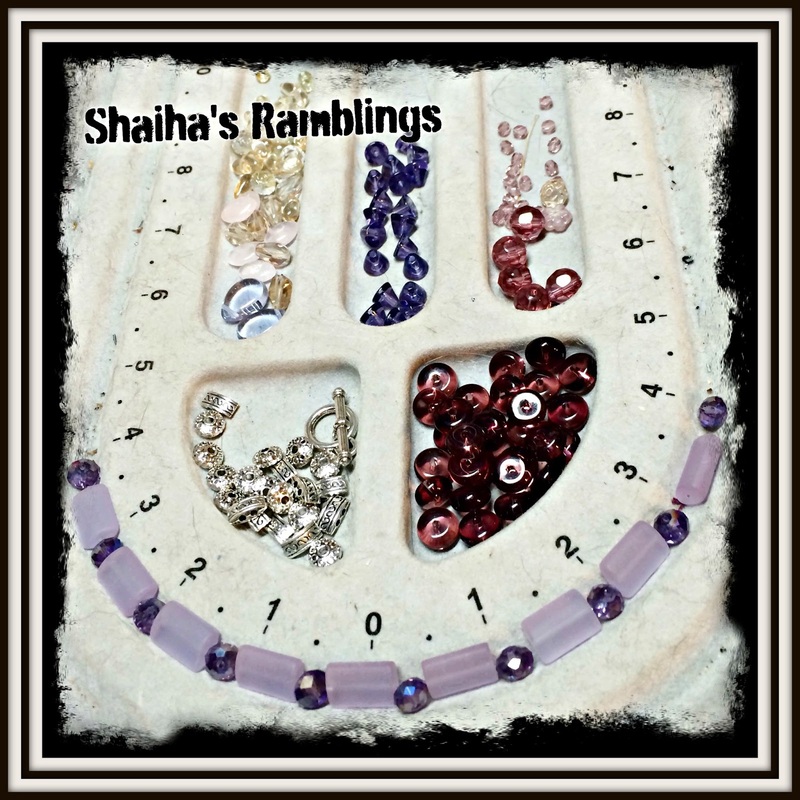 I just love the lilac sea glass and those dark purple roundelles are just the cat's meow. Now I wanted to go dark and edgy with my Evening Elegance which can be interesting with the color purple so I added some gunmetal findings to give it that thrill of danger. The french hooks are sterling and I am still debating if I want to dunk them in liver of sulfer to darken them up. What do you think? I am rather happy with this necklace since it is a bit of a departure for me as it is strung. I never string necklaces but I picked up some new wire that doesn't require crimping and I wanted to try it out. This necklace whispers high teas with the delicate lilac sea glass and screams hard rock with the gun metal chain. Now since this is a blog hop be sure to grab a cup of tea or coffee and be prepared for some really great eye candy. Oooo, love the earrings, and how well they coordinate with the necklace! Lovely! Very pretty and just right for a night out. Hi Shaiha, I too strung this time around. I would be interested in hearing about the wire that does not need crimping. Your pieces are beautiful. Very pretty set and absolutely love that lilac sea glass paired with the darker beads and metal ... stunning. I'm sure you'll have fun wearing this set! I love all of your pieces! I vote yes for the LOS on the earrings. I love all of your pieces, especially the necklace. What kind of wire did you get that doesn't require crimping? I'd be all over that. 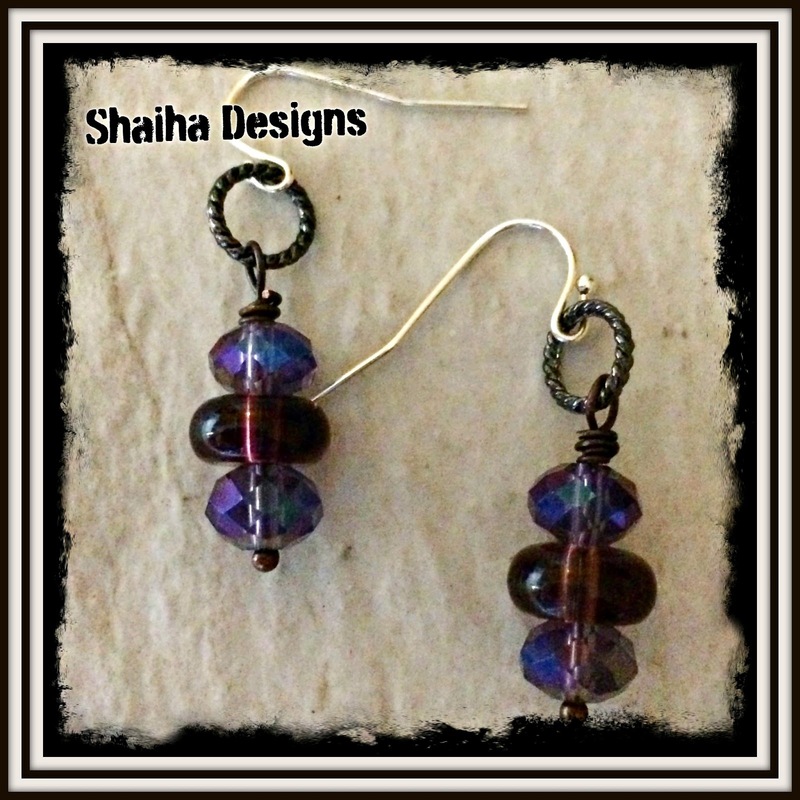 I am really digging those earrings, Shaiha! I vote to darken the ear wires. 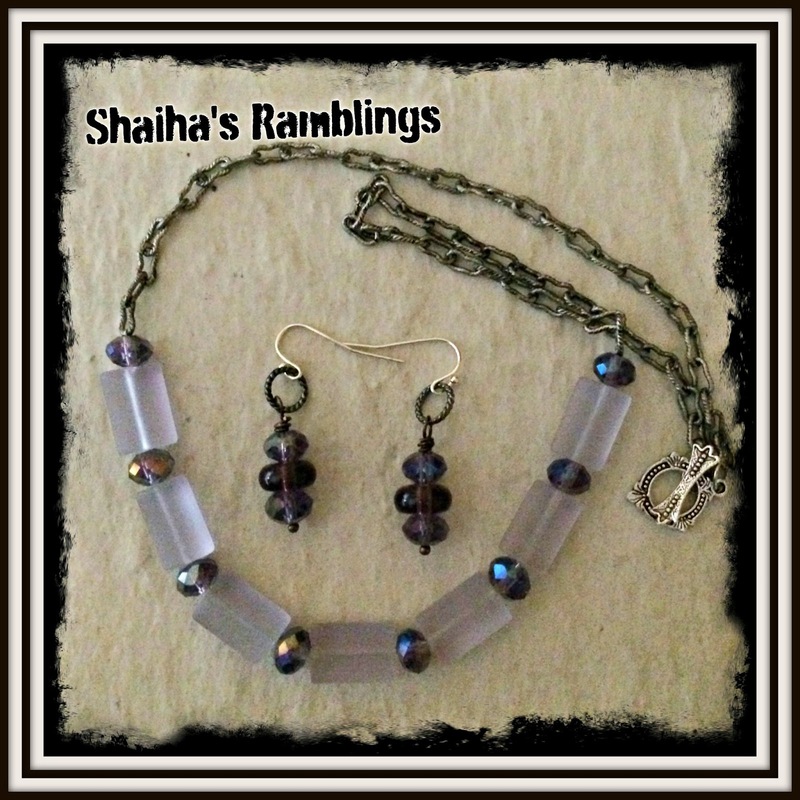 I like how you alternated the light and dark purple in the necklace. Thanks for being in the hop! Love those earrings! I personally would like it more with the darkened silver, but that's just me. As for the necklace....wire that doesn't need to be crimped!? What is this trickery of which you speak? Seriously though. I'd love to know how you liked it and what it is.